The point of having a party is getting to spend time with your friends … not be slaving away in the kitchen. Your guests will appreciate all the time you spend preparing for their arrival … but I can guarantee that they will appreciate spending time with you more. When designing a menu, always look for items that can be prepared ahead of time. And remember, just because a dish can be prepared in advance, doesn’t mean it can’t be impressive. 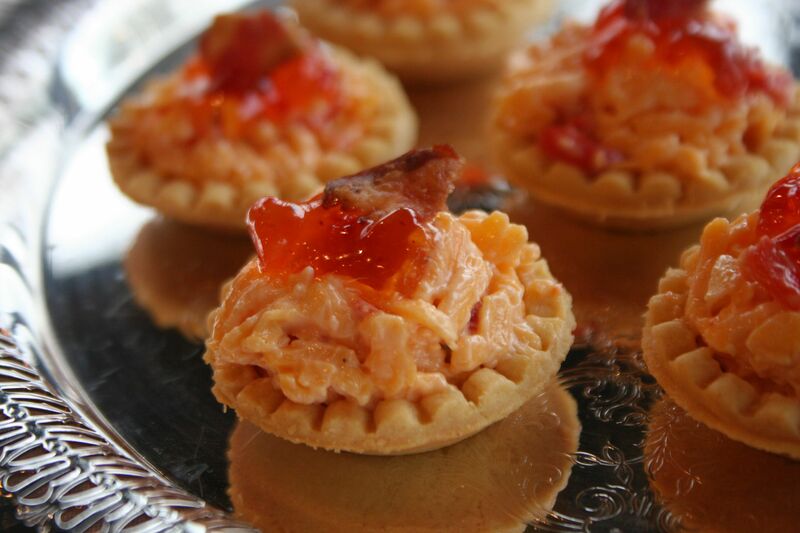 Phyllo cups can help make a simple dish look extraordinary on your table. What is phyllo you may ask? It is the flaky, paper-like dough most of know from baklava. Phyllo is very easy to work with and can be found in the frozen food section of most supermarkets. 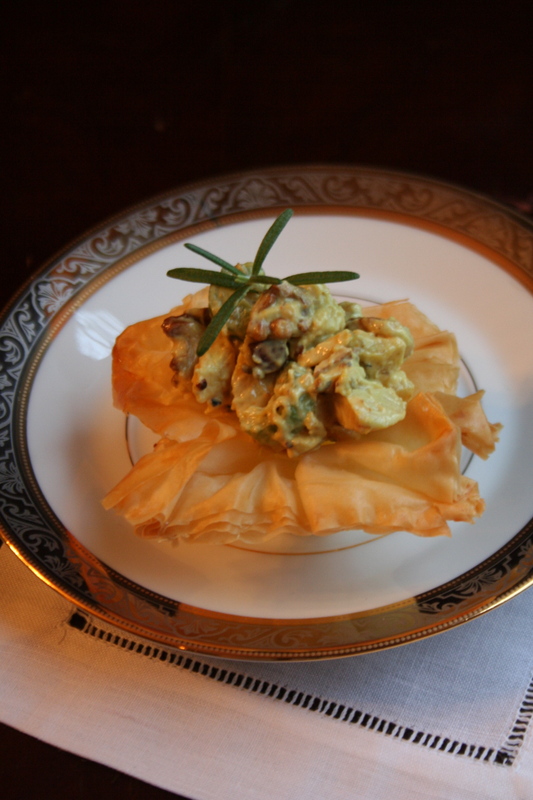 The phyllo cups in this recipe can be made up to a day in advance. Just store them at room temperature until ready to use. You can fill your phyllo cups with just about anything. Chicken salad, crab salad, shrimp salad … even chocolate ganache … are tasty options. To take the stress out of entertaining, I usually just pick up my favorite chicken salad from a local cafe. (I normally use the Curried Walnut Chicken Salad from Cheffie’s Cafe.) I assemble the appetizers a couple of hours before serving (stored in the refrigerator of course to keep the salads fresh) and my work is done. It’s a bite-size treat that is infinitely easier than it looks. In a small saucepan over medium heat, melt butter with oil. Lightly brush mini-muffin pans with butter-oil mixture. Layer 5 phyllo sheets, brushing each with the butter-oil mixture. Cut four, 4-inch squares from phyllo stack. Place phyllo squares in the pan. Carefully push phyllo into pan, leaving the points sticking up. Repeat process to make 24 shells. Bake empty phyllo shells in the oven for 8 to 10 minutes or until golden brown. Cool for 5 minutes. Remove shells from pans. Spoon about 2 tablespoons of filling into each shell. 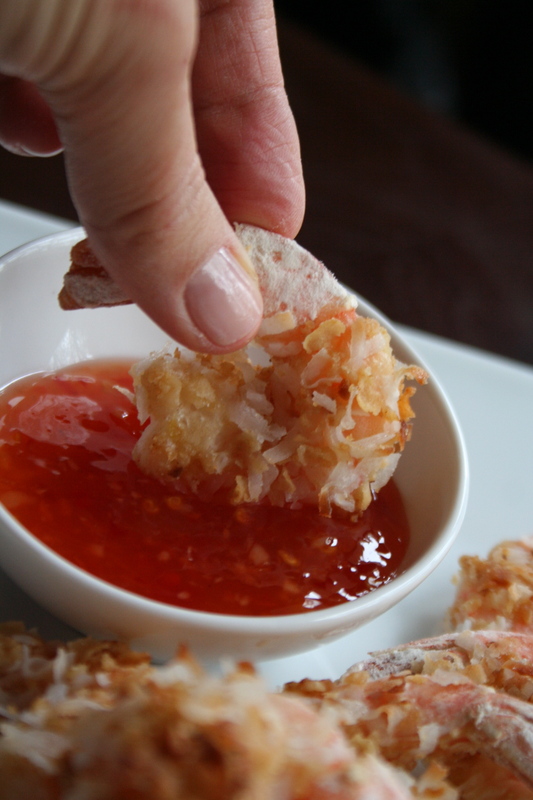 What’s not to love about Crunchy Coconut Shrimp?! It’s always been a favorite of mine at restaurants. But I had never made it at home assuming it was too much work. (I am not a fan of deep frying at home.) Then I found this recipe on French’s website! I was shocked at how easy … and tasty … this baked version was. The French’s French Fried Onions not only add flavor but give this coconut shrimp the desired crunchy coating without deep frying. 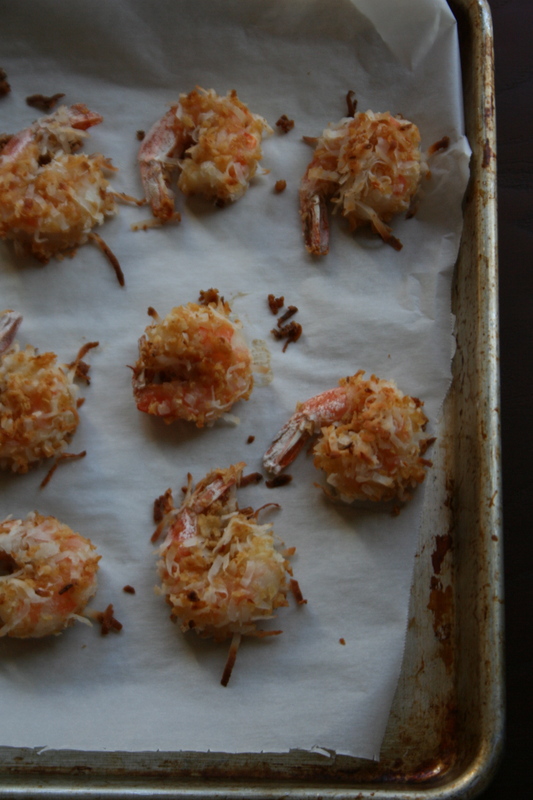 I keep frozen shrimp in my freezer for last minute suppers … or, in this case, appetizers. I also keep French’s French Fried Onions in my pantry since they are good in so many dishes. And if you didn’t know it, coconut stores beautifully in the freezer. I keep a stash primarily to throw in muffins or Seven Layer Bars, or for dishes like this. Dipping sauces are an easy fix too. Just look in your fridge! I always have good quality condiments on hand to dress up my meals. For this appetizer, I’d probably serve a ramekin of a Sweet & Sour sauce like Frank’s RedHot Chili Sauce or a sweet mustard like French’s Honey Mustard Dipping Sauce. Place the French fried onions and coconut in a plastic bag. Lightly crush the mixture with your hands or a rolling pin. Transfer to a pie plate or waxed paper. Place the flour in another plastic bag. Add the shrimp and shake to coat. Dip the shrimp in the egg whites. Coat with the onion mixture, pressing firmly to adhere. Bake the shrimp at 400 degrees for 10 minutes, or until the shrimp are fully cooked and crispy. 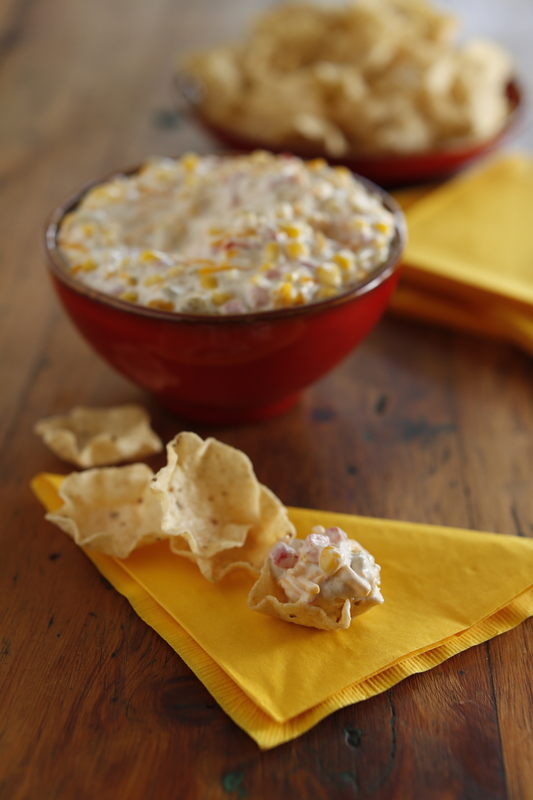 This is a great appetizer for a dinner cocktail party. The pork tenderloin cooks quickly and the apricot preserves with Honey Dijon mustard add just the perfect touch of sweetness. To prepare the Pork Tenderloin: Preheat the oven to 395 degrees. Rinse the pork tenderloin and pat it dry with paper towels. Generously season with salt and pepper. In a large cast-iron or oven-proof skillet over medium-high heat, warm the oil until a few droplets of water sizzle when carefully sprinkled in the skillet. Sear the tenderloin until well-browned on all sides, about 3 minutes per side. Brush 3/4 cup of apricot preserves over the top and place the tenderloin in the oven to finish cooking, about 15 to 20 minutes. Transfer the tenderloin to a cutting board with a well. Cover loosely with foil and let the pork rest about 5 minutes before thinly slicing. To make the Apricot Mustard: In a small bowl whisk together the apricot preserves and Honey Dijon mustard until well combined. Cover and refrigerate until ready to use. To assemble: Place a slice of pork tenderloin garnished with a spoonful of Apricot Mustard on each roll. 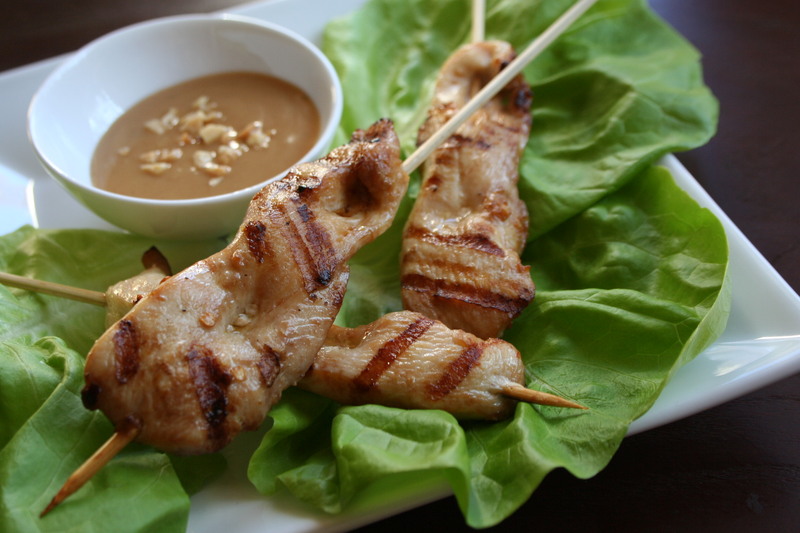 Cooking Tip: If you are unsure if the pork (or any other meat) is fully cooked, use a meat thermometer. Pork is safe to eat when it is cooked to an internal temperature of 155 to 160 degrees. At our annual Halloween party, I serve up treats like “Spider” PB and J sandwiches, “Skeleton” rib bones, and “Mummy” hot dogs. Not sure who enjoys the menu more, the kids or the adults! To wash it all down, we make “Worm” Punch or serve apple cider with cinnamon “twigs. It’s all about fun foods for the whole family. My kids love to get in on the action and help prepare our ghoulishly good feast! 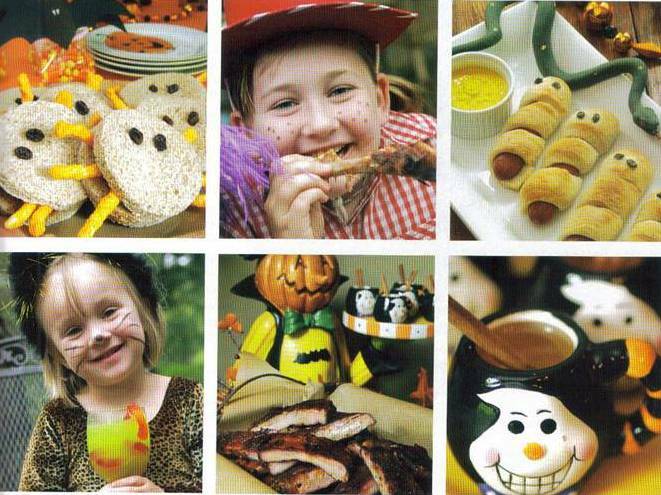 Go all out this All Hallows’ Eve and fill your table with these frighteningly fun party foods. Using a 3-inch round cookie cutter, cut a circle from each bread slice. Discard the edges. 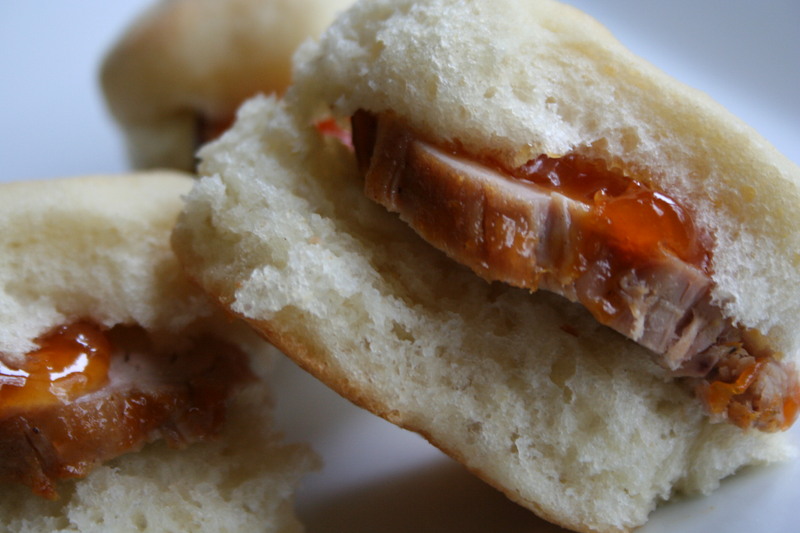 Spread about 2 tablespoons peanut butter and 1 tablespoon jelly on half of the bread rounds. Lay three Cheeto “legs” on each side of the bread rounds. Top with the remaining bread slices. Make 2 small indentions on the top of each sandwich for the “eyes.” Press a raisin into each. Bake 12 to 15 minutes or until light golden brown. Serve warm or at room temperature with French’s Yellow Mustard on the side. Adult variation: Add vodka to taste to turn this worm infested beverage into a “grown-up” libation. ***Photos by the talented Jay Adkins. Food Styling by Jennifer Chandler.